The world's most famous two spinels are part of the British Crown Jewels, but these beautiful red gems are traveling under an assumed name. This little-known gem is so similar to ruby that many of the great rubies of history are spinels. Case in point: the Black Prince's Ruby on the British Imperial State Crown is a magnificent 170-carat red spinel. The Timur Ruby, a 352-carat red spinel now owned by Queen Elizabeth, has the names of some of the Mogul emperors who previously owned it engraved on its face. They also thought that this magnificent red gem was ruby. It's not surprising that ruby and spinel were long confused. Both are mined in the gem gravels of Burma and Sri Lanka. 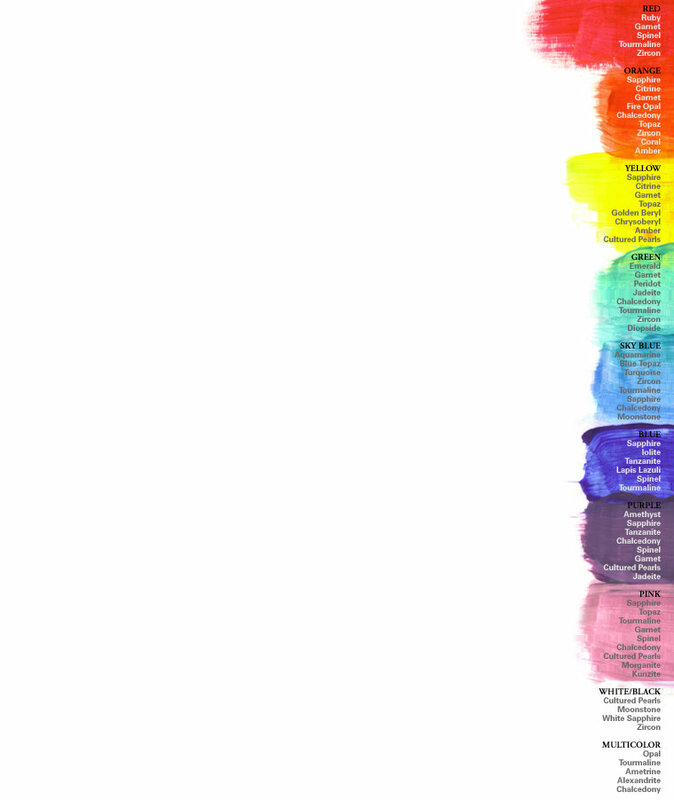 They have similar hardness and durability, vivid color, and brilliance. Ironically red spinels, often referred to in ancient texts as balas rubies , are actually more rare than ruby but, unlike ruby, they can sometimes be found in very large sizes. Balas , or Balascia , refers to Badakshan in northern Afghanistan, an active gem-producing region during the Middle Ages whose big and beautiful red to pink spinels were considered the best rubies of their time. So the spectacular “rubies” owned by Tamerlane, the Mongol conqueror, Henry VIII of England, and Peter the Great of Russia are all spinels. Now treasured for its own sake, spinel is a favorite of gem dealers and gem collectors due to its brilliance, hardness and wide range of spectacular colors. In addition to beautiful rich reds, spinel can be found in a range of beautiful pastel shades of pink and purple. Of particular interest is a vivid hot pink with a tinge of orange that is mined in Burma that is one of the most spectacular gemstone colors in any gem species. Spinel also comes in beautiful blues, but these are extremely rare. In addition to Burma, now known as Myanmar, and Sri Lanka, spinel is mined in Tanzania and Tadjikstan, part of the former Soviet Union. Fine spinels are often set in handcrafted one-of-a-kind jewelry by custom goldsmiths, since these gems are too rare to be cut in standardized sizes. Its beauty, brilliance and lush saturated color make it one of the gem world's best bargains. Spinel is a durable gemstone that is perfect for all jewelry uses, with a hardness of 8. 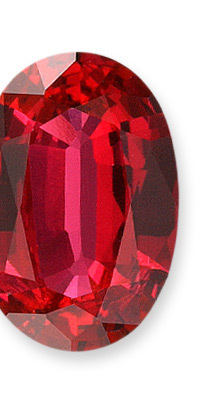 It is most often faceted in oval, round, or cushion shapes. Clean with mild dish soap: use a toothbrush to scrub behind the stone where dust can collect.